Bluff The Listener Our panelists tell three stories about the brother of a world leader trying to make his way in the world, only one of which is true. Our panelists tell three stories about the brother of a world leader trying to make his way in the world, only one of which is true. 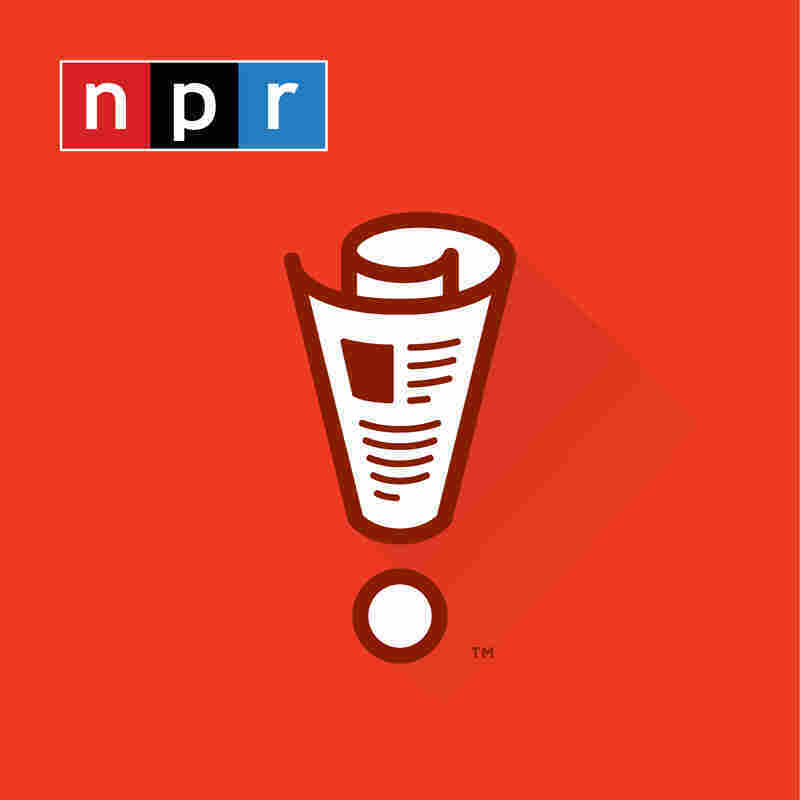 CARL KASELL: Carl : From NPR and WBEZ Chicago, this is WAIT WAIT...DON'T TELL ME!, the NPR news quiz. I'm Carl Kasell. We're playing his week with Mo Rocca, Tom Bodett and Faith Salie. And here again is your host at Mandel Hall at the University of Chicago, Peter Sagal. Thank you, Carl. Thanks, everybody. Right now, it's time for the WAIT WAIT...DON'T TELL ME! Bluff the Listener game. Call 1-888-WAIT-WAIT to play our game on air. Hi, you're on WAIT WAIT...DON'T TELL ME! RACHEL MCKINNEY: Hi, it's Rachel McKinney from Washington, D.C.
SAGAL: Hey Rachel, how are you? SAGAL: I'm glad to hear it. What do you do there in Washington? MCKINNEY: I work with Save the Children in education emergency. MO ROCCA: I guess we can't make fun of what you do. SAGAL: Yeah, well Rachel, it's good to have you with us. You're going to play our game in which you must try to tell truth from fiction. Carl, what is Rachel's topic? KASELL: Billy Carter is Back. SAGAL: Not literally, don't worry. SAGAL: Behind every great man or woman is a nutty brother: Roger Clinton; Rick Mandela; Jim Jong Il. SAGAL: This week our panelists are going to tell you about the brother of a world leader making a name for himself outside the family business. Guess the real story, you'll win Carl's younger brother Barl Cassell's 's voice on your home answering machine or voicemail. SAGAL: First up let's hear from Tom Bodett. TOM BODETT: Igor Putin, brother of Russian President Vladimir Putin, turned 60 years old last year, and along with that milestone came another unpleasant development. He was starting to smell, according to his wife and loving mistresses, like an old man. Becoming an old man, inevitable; smelling like one, nyet. BODETT: Igor called in a team of experts from (unintelligible), the Russian med tech industry, to go to work on the problem. While it's well known that the ubiquitous and familiar smell of old people is caused by an increase in a certain compound in the skin, no one had ever attempted to do anything about it. And then came Igor. His team came up with a simple dietary supplement calls (speaking foreign language), smell me, that when taken daily will reduce the production of the offending compound to pre-middle-age levels. With the early baby boomers already pushing 70, he expects a demand for the drug not seen since Viagra. Pharmaceutical giant Pfizer agrees and has partnered with Putin to manufacture (speaking foreign language). Pfizer CEO Jeffrey Grasik(ph) said Vladimir might be able to subdue tigers and ride horses bare-bellied, but he's going to smell like Grandpa Walton while he does it unless he takes Igor's little pill. SAGAL: Igor Putin, brother of Vladimir, comes up with a medicine to keep old people smelling fresh as the day they were born. Your next story of an embarrassing brother comes from Mo Rocca. ROCCA: When Chilean President Sebastian Pinera found out his actor/brother Pablo had landed a gig as the face of a chain restaurant, he was happy, until he found out that the restaurant was Chili's. Quote, the best thing about living in Chile is eating at Chili's, gushes Pablo in one ad. Have you tried our (unintelligible) desert potato skins? Says Chilean press secretary Jaime Carne(ph), if the restaurant in question was Olive Garden, TGIFriday's, even Chi-Chi's, the president would understand. But touting Chili's as the best thing about Chile is undignified. Chile is a democracy now, and there's no stopping Pablo Pinero. Says Pablo, have you tried our new tierra del fuego extra-spicy chili? Only at Chili's in Chile. SAGAL: The brother of the president of Chile becoming a spokesman for Chili's restaurant in Chile. And your last story of a brother trying to steal the spotlight just a bit comes from Faith Salie. FAITH SALIE: Have you ever stared at a marshmallow and thought this thing is just too white, or this sweet, fluffy thing would be more delicious if it was a selfie? Well, you're not alone. In fact you're in royal-adjacent company because James Middleton, younger brother of Kate Middleton, has created a startup that will print your Instagrams onto marshmallows. SALIE: The college dropout, who learned to bake with his mother as a lad, bakes in a converted barn and sends his treats through the mail to narcissists with a sweet tooth. His marshmallow company is called Boomf, which you might think is the sound you make when you see how tremendously hot James Middleton is. SALIE: But in reality, Middleton says the name Boomf comes from the noise a marshmallow makes as it falls through your letter box. SAGAL: So these are you choices. From Tom Bodett, Vladimir Putin's brother comes up with a chemical compound to help old people smelling like old people. From Mo Rocca, the brother of the president of Chile becomes the local spokesman for Chili's restaurant, much to the chagrin of the administration. And from Faith Salie, the brother of the Duchess of Cambridge, the future mother of the future king, gets into business printing selfies onto marshmallows. Which of these is the real story of someone adjacent to power doing his own thing? MCKINNEY: Well, I hope older people don't take offense, but I really want the first one to be right. SAGAL: We all want the first one to be right, but the question is: Is it? SAGAL: You're going to go with that? You're going to go with Tom's story of Vladimir Putin's brother Igor, Igor Putin, who has come up with this compound to make older people smell less old? SAGAL: All right, that's your choice. We are going actually to play you something. We spoke to one of the people closely associated with this story. ANDY BELL: Boomf is a service that lets you print your Instagrams as marshmallows. The thing we kept quiet was it was invented by James Middleton. SAGAL: That was Andy Bell, the co-founder of Boomf Instagram Marshmallows. SAGAL: Business partner of the brother of Kate Middleton, the former Kate Middleton, the duchess of Cambridge. I'm so sorry. But you did earn a point for Tom for coming up with a really good idea. If scientists in the audience here or on the radio are listening, that would a great thing. Do it before I get old, thank you. SAGAL: Thank you so much for playing.